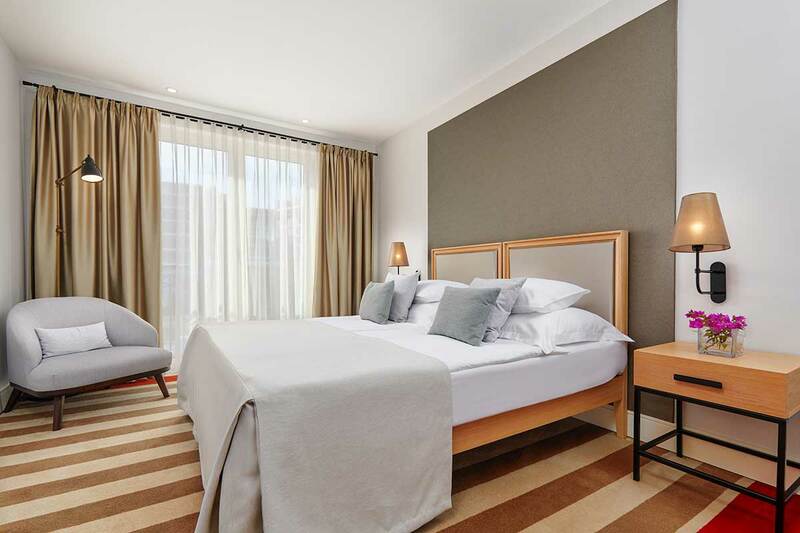 With modern contemporary design, elegant furnishings and high class equipment, all our rooms are designed to satisfy experienced traveler and to provide them with superb comfort. 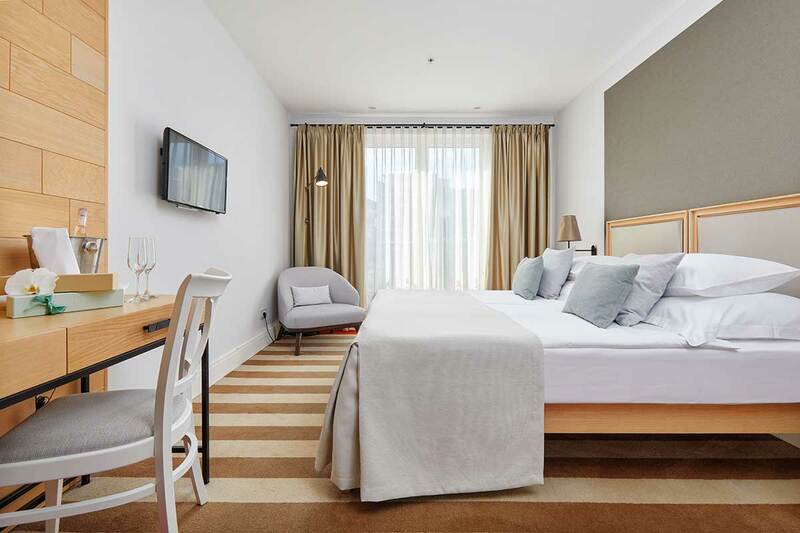 Each room feature premier amenities such as: high-speed Wi-Fi, smart TV, self adjustable air-conditioning, direct telephone line, minibar and safe. 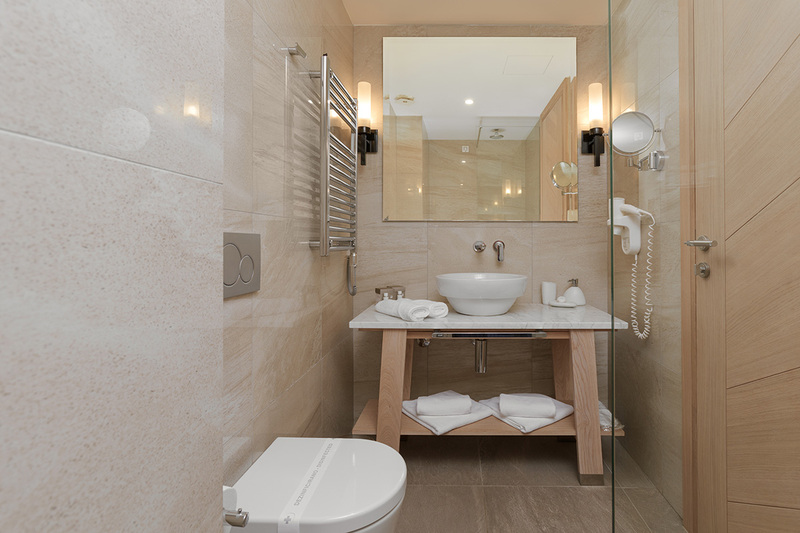 Marble bathroom including walk-in shower with rain shower head, luxury toiletries and hair dryer provide full enjoyment.